Asia Pacific Holding Co., Ltd. (The Key Bangkok Hotel, under Compass Hospitality Management Group) respects your preferences concerning the collection and use of your Personal Information. The following privacy policies are tailored for the different ways your Personal Information is collected through Compass Hotel Group websites. This Policy ("Policy") lets you know how we collect and use your Personal Information, how you can control its use, and describes our practices regarding information collected from the different Compass sites that link or refer to this Policy (such as our websites, computer or mobile software applications, and HTML-formatted e-mail messages). Your personal information allows us to provide the products and services you have asked for, as well as enabling us to improve those products and services by understanding your interests and preferences. By understanding what you like (and what you don’t) we are able to personalize your experience, show relevant adverts and improve your stay. MARKETING. Nai Chan Estate Co., Ltd. (The Key Bangkok Hotel, under Compass Hospitality Management Group) may use your Personal Information and Other Information to notify you about new product releases and service developments, and to advertise Nai Chan Estate Co., Ltd. (The Key Bangkok Hotel, under Compass Hospitality Management Group) products and services in accordance with this Policy. Your website visit, marketing experience, and communications may be tailored to your interests based on your Personal Information. Nai Chan Estate Co., Ltd. (The Key Bangkok Hotel, under Compass Hospitality Management Group) may share your Personal Information to specific third party partners to facilitate interest-based advertising. Other Information uses specified above are not mandatory and may be controlled by you. Please refer to the "Registration and Privacy Choices" section below for opt-out options. IMPROVE PRODUCTS, SERVICES AND EXPERIENCES. Nai Chan Estate Co., Ltd. (The Key Bangkok Hotel, under Compass Hospitality Management Group) may use your Personal Information to evaluate and improve our products, services, marketing, and customer relationships. OBTAIN THIRD PARTY SERVICES. We also share Personal Information with third parties who provide services to Nai Chan Estate Co., Ltd. (The Key Bangkok Hotel, under Compass Hospitality Management Group), such as credit card processing services, analytics, website management, information technology and related infrastructure provision, customer service, e-mail delivery, and other similar services. When Nai Chan Estate Co., Ltd. (The Key Bangkok Hotel, under Compass Hospitality Management Group) shares Personal Information with third party service providers, we require that they use your Personal Information only for the purpose of providing services to us and subject to terms consistent with this Policy. COOKIES. Nai Chan Estate Co., Ltd. (The Key Bangkok Hotel, under Compass Hospitality Management Group) server will query your browser to see if there are "cookies" previously set by our electronic Channels. A cookie is a small piece of information sent by a Web server to store on a Web browser so it can later be read back from that browser. Cookies may collect information, including a unique identifier, user preferences, profile information, membership information, and general usage and volume statistical information. Cookies may also be used to collect individualized website use data, provide electronic Channel personalization, or conduct and measure the effectiveness of advertising in accordance with this Policy. Some cookies may remain on users' computers after they leave the website. While the majority are set to expire within 1-24 months of your last visit to the website that set the cookie, others may not expire because of their nature, like cookies that remember opt-out preferences. REGISTRATION. Nai Chan Estate Co., Ltd. (The Key Bangkok Hotel, under Compass Hospitality Management Group) allows you to establish an online registration profile for marketing communications. You may use the profile to customize and control your preferences for receiving electronic information, including opting into (or out of) communities, newsletters and general interest areas. You can return to the registration profile at any time to change your elections or modify your profile at Nai Chan Estate Co., Ltd. (The Key Bangkok Hotel, under Compass Hospitality Management Group) sites. EMAIL MARKETING. Nai Chan Estate Co., Ltd. (The Key Bangkok Hotel, under Compass Hospitality Management Group) enables you to opt out of cookies that are not required to enable core site functionality. Nai Chan Estate Co., Ltd. (The Key Bangkok Hotel, under Compass Hospitality Management Group) uses its cookies preferences tool to process Internet advertising and tracking preferences, but does not respond any other Do Not Track signals. You may request to review, correct, update, suppress, or otherwise modify any of your Personal Information that you have previously provided to us through the Channels, or object to the use or processing of such Personal Information by us. You have the ability to update your profile and related Personal Information at any time. To change this information, please login at Compass Hotel Group website and follow the prompts to "update my profile." If you have questions about your account or are having trouble accessing your account, you can get answers to Frequently Asked Questions (FAQs) and request help with your account. If you have privacy concerns regarding access to or the correction of your Personal Information, please contact us through our inquiry form. Nai Chan Estate Co., Ltd. (The Key Bangkok Hotel, under Compass Hospitality Management Group) will retain your Personal Information for as long as your account is active; as needed to provide you products or services; as needed for the purposes outlined in this Policy or at the time of collection; as necessary to comply with our legal obligations (e.g., to honor opt-outs), resolve disputes, and enforce our agreements; or to the extent permitted by law. At the end of the retention period, Nai Chan Estate Co., Ltd. (The Key Bangkok Hotel, under Compass Hospitality Management Group) will delete your Personal Information in a manner designed to ensure that it cannot be reconstructed or read. The content of each page of this website is the property of Nai Chan Estate Co., Ltd. (The Key Bangkok Hotel, under Compass Hospitality Management Group). In addition, Nai Chan Estate Co., Ltd. (The Key Bangkok Hotel, under Compass Hospitality Management Group) uses standard security protocols and mechanisms to exchange the transmission of sensitive data such as credit card details. When you enter sensitive Personal Information such as your credit card number on our site, we encrypt it using secure socket layer (SSL) technology. In the event that your Personal Information is acquired, or is reasonably believed to have been acquired, by an unauthorized person and applicable law requires notification, Nai Chan Estate Co., Ltd. (The Key Bangkok Hotel, under Compass Hospitality Management Group) will notify you by email. Nai Chan Estate Co., Ltd. (The Key Bangkok Hotel, under Compass Hospitality Management Group) will give you notice promptly, consistent with the reasonable needs of law enforcement and/or Nai Chan Estate Co., Ltd. (The Key Bangkok Hotel, under Compass Hospitality Management Group) to determine the scope of the breach and to investigate and restore the integrity of the data system. To provide information and ensure transparency, Nai Chan Estate Co., Ltd. (The Key Bangkok Hotel, under Compass Hospitality Management Group) established this policy so that you can know how we process your information when browsing our websites as well as to let you know your rights in regard to cookies and tracers used by Nai Chan Estate Co., Ltd. (The Key Bangkok Hotel, under Compass Hospitality Management Group). Cookies for visitor tracking are aimed at improving the comfort of users by helping Nai Chan Estate Co., Ltd. (The Key Bangkok Hotel, under Compass Hospitality Management Group) understand your interactions with Nai Chan Estate Co., Ltd. (The Key Bangkok Hotel, under Compass Hospitality Management Group) Websites (most visited pages, applications used, etc. ); these cookies may collect statistics in order to improve the relevance and usability of our services. Affiliate cookies identify the third-party website(s) that redirected a visitor to Nai Chan Estate Co., Ltd. (The Key Bangkok Hotel, under Compass Hospitality Management Group). The installation of certain cookies is subject to your consent. 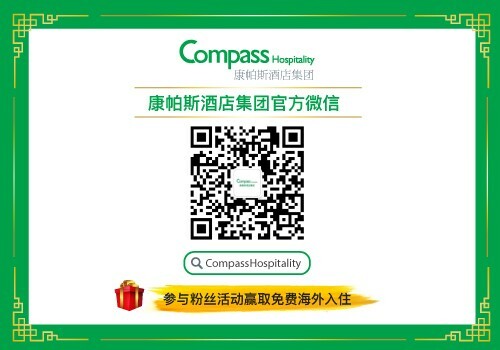 Also, when you first visit the Nai Chan Estate Co., Ltd. (The Key Bangkok Hotel, under Compass Hospitality Management Group), you are asked whether you agree to the installation of this type of cookie, which is only activated after your acceptance. However, you can set your browser to block cookies. Keep in mind that if you set your browser to block cookies, some features, pages and spaces on Nai Chan Estate Co., Ltd. (The Key Bangkok Hotel, under Compass Hospitality Management Group) will not be accessible, and we cannot be held responsible in this case.